Imagine being able to redecorate a room, without actually moving from your chair- virtually of course. The technology to make this happen is certainly here and surprisingly accessible. Companies, like Ikea, have been introducing a technology known as augmented reality into their apps to give users an interactive experience that transcends anything previously seen on the app market. In Ikea’s case, it allows you to virtually drag pieces of furniture into your room to see how they’ll appear in real time. Augmented reality (colloquially known as AR) is a relatively new technology designed to “augment” or extend reality into a virtual realm. To be clear, this is different from Virtual reality (VR) in that virtual reality is designed to create an existence entirely in a digital space, whereas augmented reality simply complements and extends the world around us. As AR technology becomes more sophisticated, it is becoming seamlessly integrated into existing apps on our phones, rather than relegated into goggles or other external attachments like Google Glasses that have largely been failed experiments. AR technology is being used in popular apps across multiple categories. Whether it be within games, shopping, or design, AR elements are being integrated. This technology is especially popular in the retail industry, where brick and mortar retail is at a crossroads, and retailers are reinventing themselves to survive in an increasingly competitive market. Retailers like Warby Parker allow you to try on glasses virtually, making sure you order the right pair. This new level of interactivity effectively bridges the gap between a virtual and tangible realm. I believe this will become increasingly prevalent in retail settings as brick and mortar retail becomes more about showcasing brands through interactive experiences rather than physically selling products. Developers at Apple have released an AR Kit, that will make the technology even more advanced and far reaching. This kit allows app developers to easily incorporate AR into their apps on the App Store. This has created a wide range of apps, designed anywhere from productivity to fun. For example, there is a new game being released where users can set out a puzzle on their table using AR. This allows them to come back to it at any time, in any state. The game also allows multiple players to participate, furthering the interactive nature of AR. Even for kids, a Thomas the Train game has been developed where they can virtually set up a train and see it ride around the track they create in their space. Interactive experiences like these from Apple or Ikea are a prime example of how technology as a whole is moving into a more human realm. AR is defying the notion that technology is making us less human by providing a new type of interaction between us all. Experiential interactions such as AR will be a defining force of the tech field in the near future as the technology becomes stronger. Years ago, it was unthinkable that personal computers would be easy to use and so prevalent. Now, they are practically unavoidable and accessible to use. AR technology is even more intuitive, and seamlessly integrated into the “real” world so it will be interesting to see how it develops to make life easier, and technology more accessible for more people. Nicholas Coates is one of X-Mode’s marketing interns for Summer 2018! 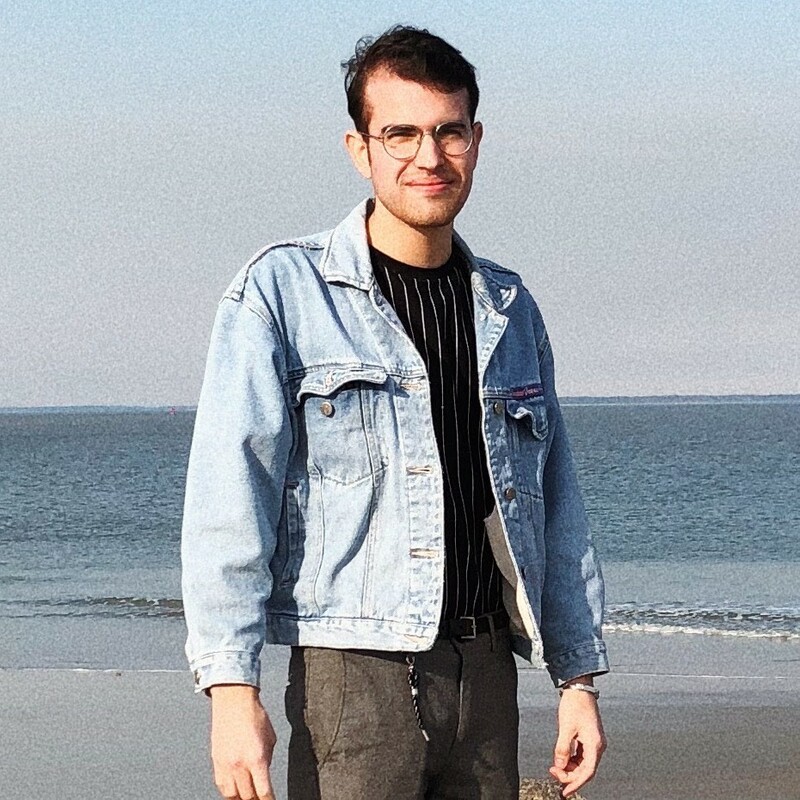 Currently attending the Savannah College of Art and Design for marketing, Nicholas has a passion for good design, and emphasizes this in everything he does. He has a love for fashion and all things minimalist and mid-century modern. Growing up, Nicholas has moved across the country several times, having lived in 6 different cities so far. Though many would be upset by so many moves, he saw each place he lived as a new challenge, and a chance to gain new perspectives. In his free time he can be found traveling, spending time with friends, practicing photography, thrift shopping, or looking for his next big adventure.